Maps & Directions | Where is Maldron Hotel Derry? 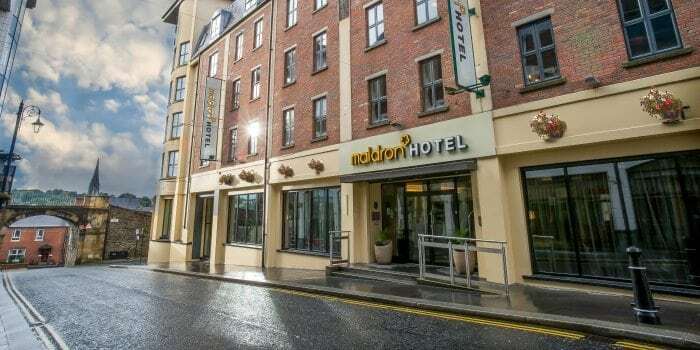 The Maldron Hotel Derry is perfectly positioned for enjoying the history and culture of Derry city and also exploring Northern Ireland’s most famous attractions. With an abundance of local charms on your doorstep, Maldron Hotel Derry is an ideal choice for a short break on the North Coast. Limited parking is available in our underground car park. Spaces are allocated on a first come, first served basis and we regret we cannot guarantee a space. Parking at the hotel is free of charge. The car park entrance is located to the side of the hotel down Magazine Street. Press the intercom and reception will let you in. If the car park is full there are several car parks just around the corner (charges apply). Derry-Londonderry Train Station is located on the opposite side of the River Foyle to the city centre, less than 1 mile from Maldron Hotel Derry. Taxis are usually available on the rank outside and the short journey costs approximately £4, depending on traffic. It is a pleasant 15-minute walk from the station to the hotel but please be aware the historic city centre is at the top of a hill which may be difficult with heavy luggage. Translink Ulsterbus Station is 5 minutes’ walk from the hotel. 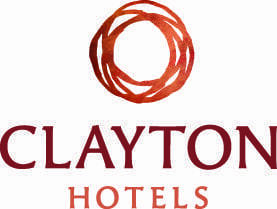 City of Derry Airport is only 7 miles from the Maldron Hotel Derry, with direct flights from London Stanstead, Liverpool, Glasgow International, Alicante and Faro. We can arrange a private taxi transfer for you for £12 approx. Belfast Airports are easily accessed from Derry via the airporter service which runs daily. Belfast International is located 65 miles away . Maldron Hotel Belfast, our Belfast International Airport Hotel is located 50 mtrs from the airport. Dublin Airport is 121 miles from Derry city and offers a wide range of flights from all major International cities.